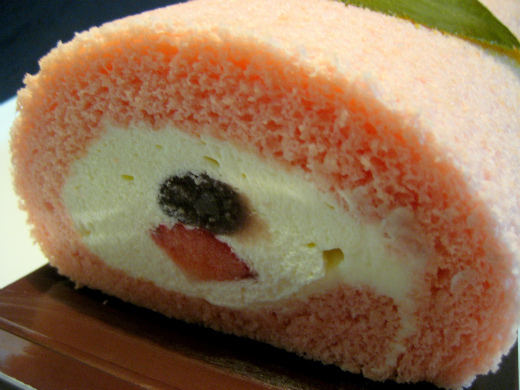 This is a Sakura(Cherry Blossom) Roll Cake”chantilly” from BUZZ SEARCH. 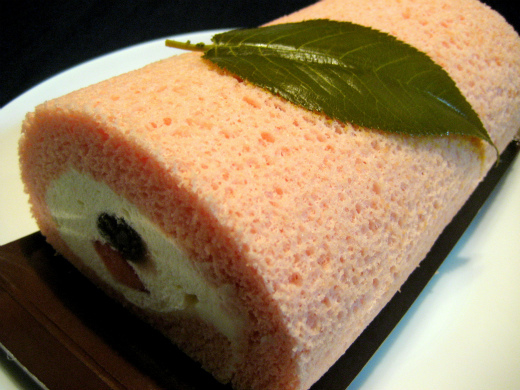 Fresh cream,adzuki bean paste and strawberries are rolled up in a cherry-blossom-flavoured sponge. The exquisite flavour of the cherry blossom combines perfectly with the fresh cream. A cherry leaf in salt is on the roll cake creates the right taste and great texture of roll cake which is very pleasant.